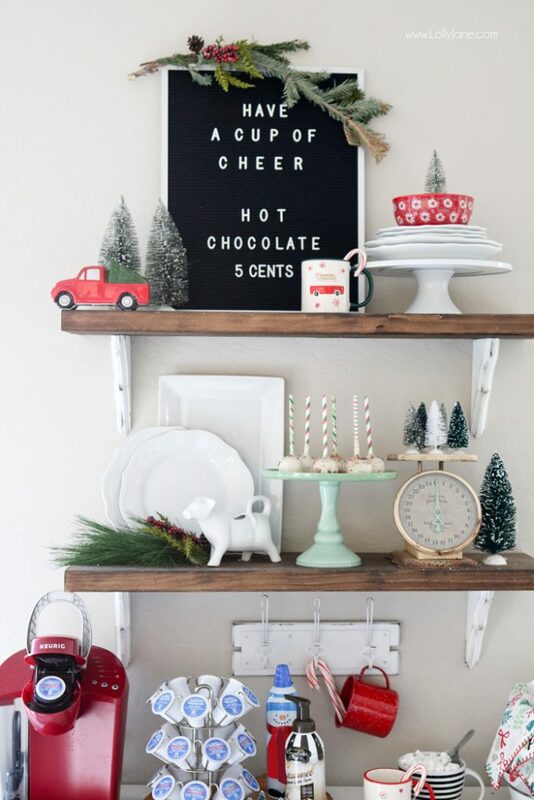 This post on easy hot chocolate station ideas is in partnership with Better Homes & Gardens and Walmart. All opinions and ideas, as always, are our very own. Arizona has finally caught up to the rest of the nation with chilly nights and crisp mornings… in our home, that calls for a Hot Chocolate Station! A few times I’m a week I’m a “cool mom” (I dare you to not think of Amy Poeller from Mean Girls when you say that!) and let them have hot cocoa after breakfast or dinner… I have to simply put a lid on the hot cocoa mix and refill marshmallows… the rest of it can sit there until they’re ready for another cup. Easy peasy. 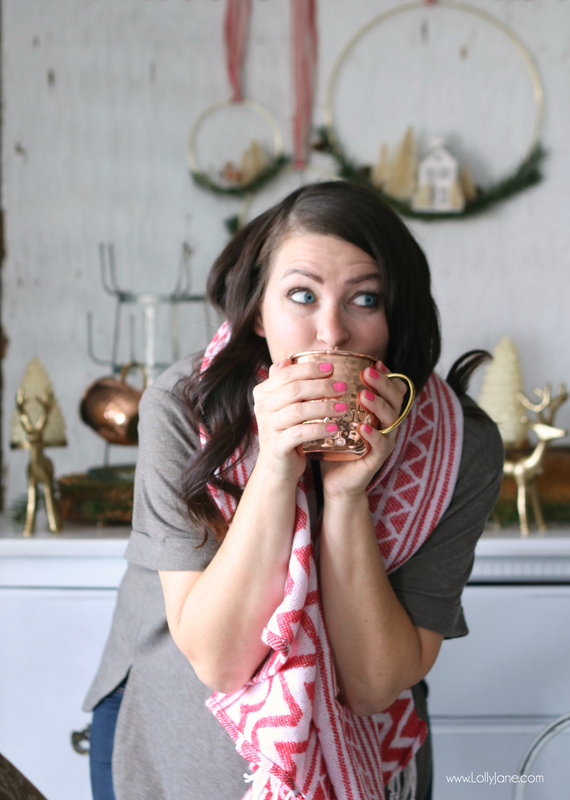 Here’s a few steps to put your own hot chocolate station together lickity split! 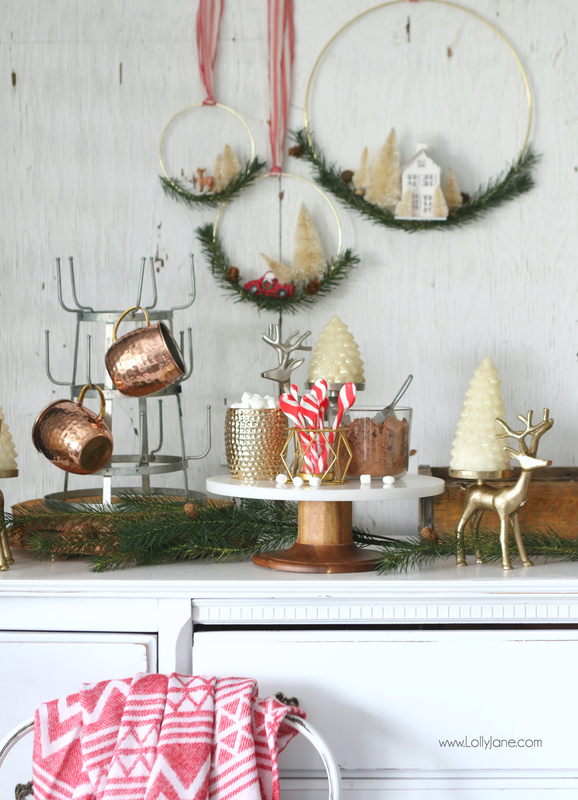 My favorite one-stop-shop is Walmart, where I can get all of the pretties to put this fun station together, as well as all of the ingredients for the cocoa. 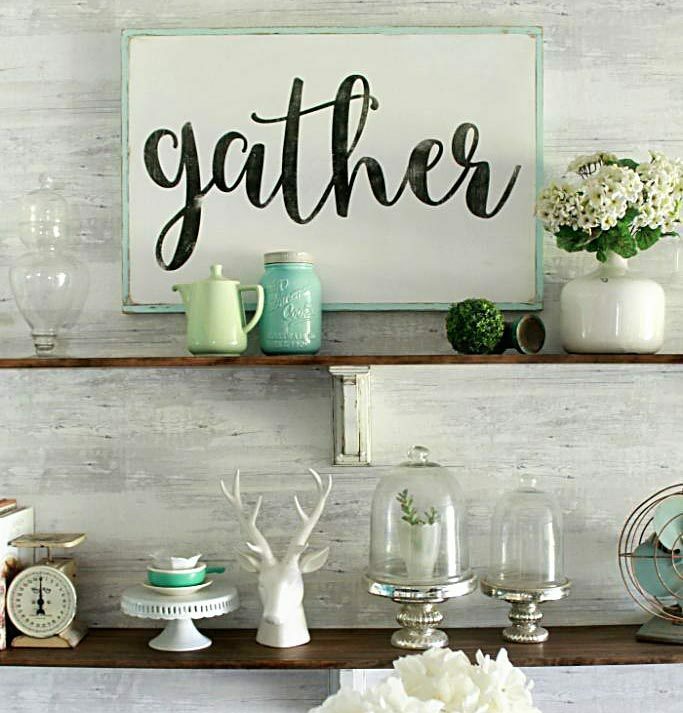 To start, I gathered a few rustic and glam pieces from the Better Homes & Garden Live Better line. 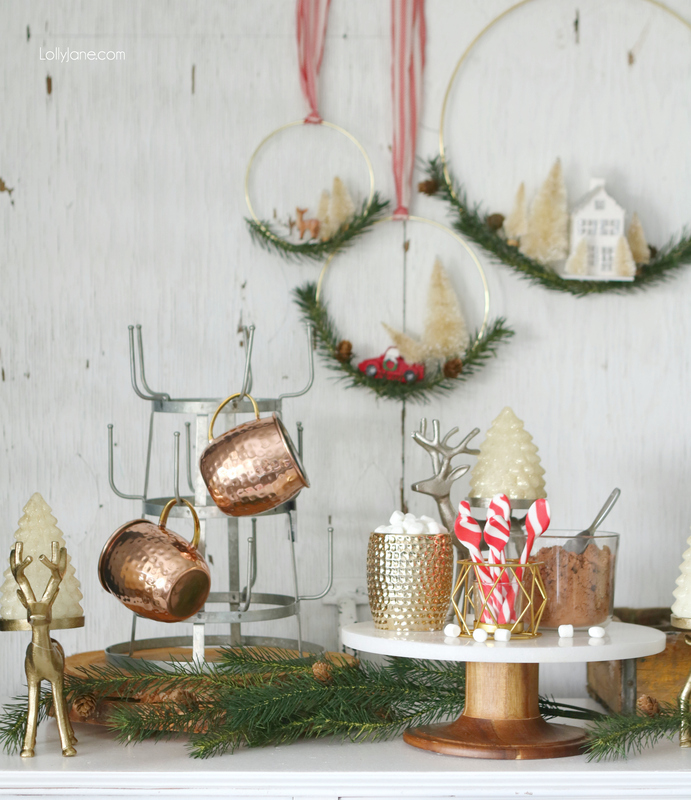 The star of the show is that galvanized metal mug rack, could you just die? It’s so cute! Better Homes & Gardens Live Better line has a huge variety of the different metal finishes (copper, gold, rose gold, silver,) and they all pair so perfectly together! After stacking a few wood slices I set the mug rack on top then worked around that. 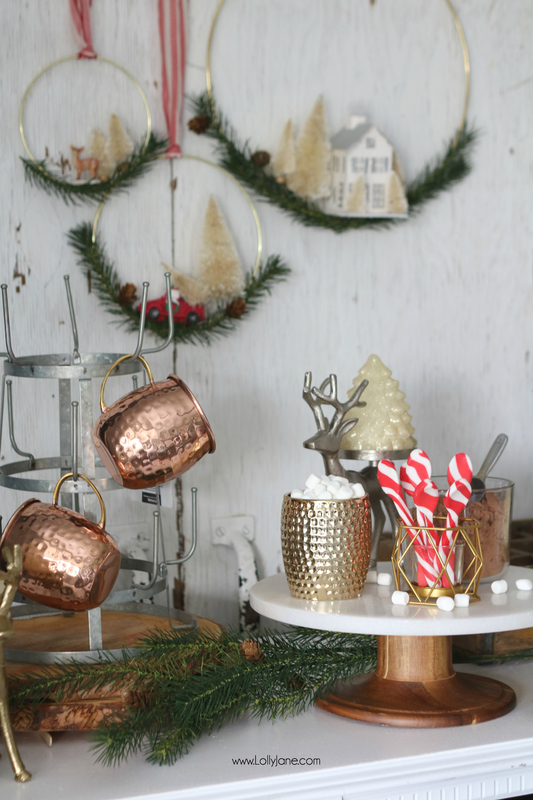 Mugs are definitely a must… especially when they’re hammered copper, (insert heart eye emoji here. ;)) Not only are they chic but they keep my hands toasty warm! I used my favorite Better Homes & Garden cake stand (that wood base goes nicely with the rustic feel I was going for!) for height and topped it with a coordinating hammered Better Homes & Gardens candle and tea light candle holder… that yes, I stuck candy cane spoons in! Haha. 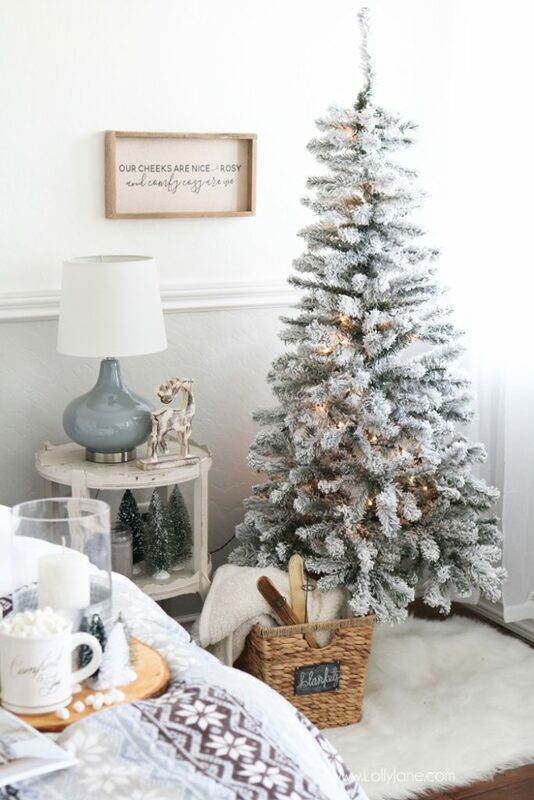 Lastly, I added some festive holiday decor to really pull the winter theme together. These Better Homes & Gardens deer pillars are to die for darling… especially paired with the trio of LED Trees! Over the top cute! That’s it. You really can’t get easier than this! Want to see how it’s styled from start to finish? Watch this little video we put together! 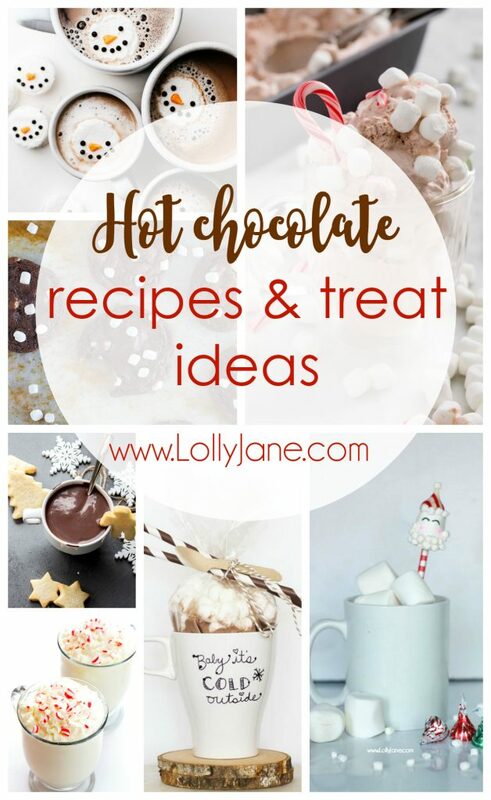 plus several hot chocolate recipes, mm! 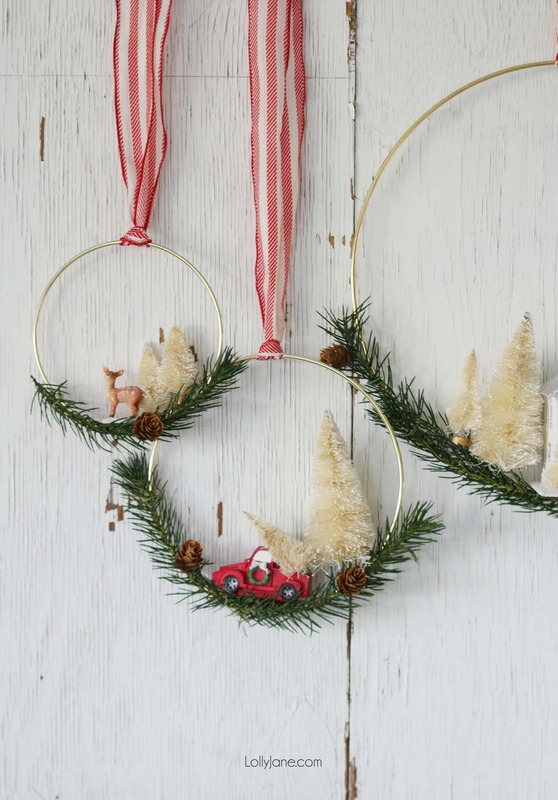 or get our DIY on how to make those fun bottle brush hoops you see peeking in the backdrop! You guys are SO stinking cute!! This is adorable. Way to save the day, everything is better stuffed with marshmallows. Nice…! i really like your idea and this is one of my favorite recipe, i really like your idea, i will try to it. Thanks for sharing…..! Doggoned it was just at Walmart today but didn’t get chance to look at BH&G goodies.Good thing as would have wanted mug rack at least. Spent all my money – again – at Hobby Lobby, have got to stay out of that blasted temptation place. 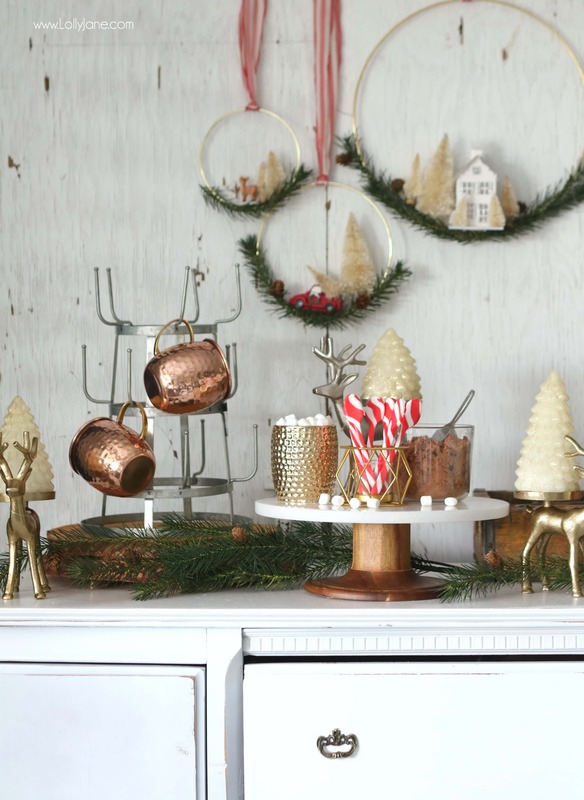 Really love your hot choc.station,very stylin’ with all the wonderful goodies to complete it. 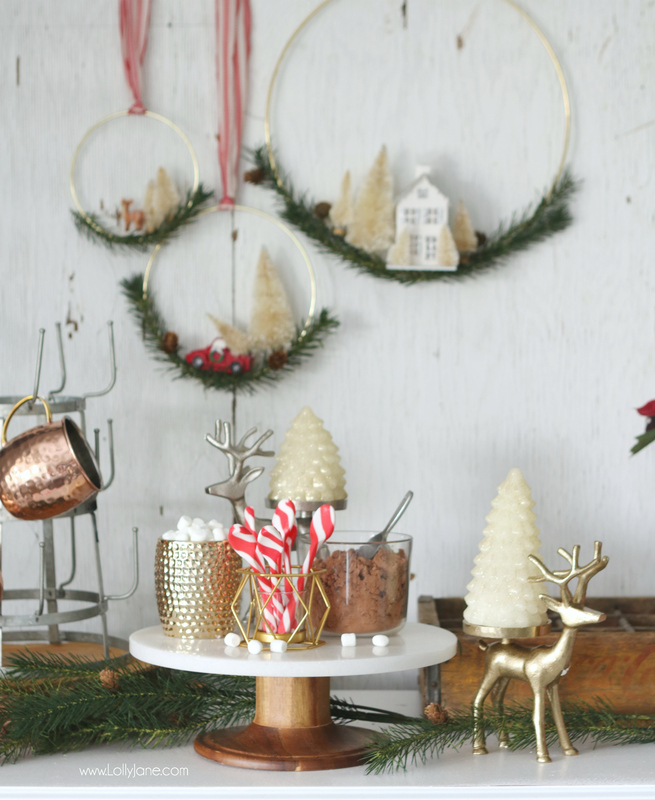 Want those tree candles and deer, oh drool. I have some metal deer gotten at Pier 1 years ago, don’t know how many times have spray painted them. Think this year will scatter some glitter/snow on them. They’ve been perfect stand-by decoration, love them. Every year think I won’t use them but always breakdown, need deer. Will be featuring deer more this year. Where did you get the candy cane spoons? This is the most adorable hot cocoa station!! 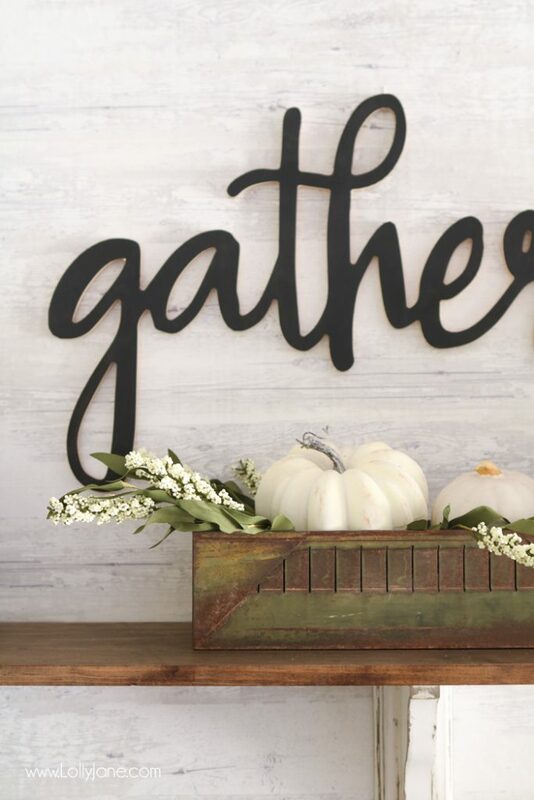 Click to see the latest in DIY + home decor trends!